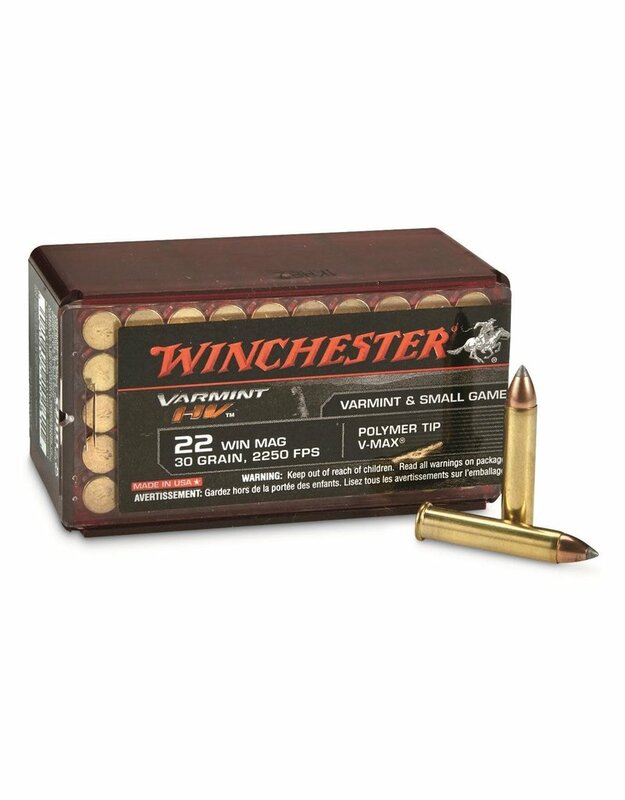 The Winchester Varmint High Velocity (HV) load offers small game hunters a high performing cartridge that may also be used for target shooting or plinking. Hornady's V-Max bullet features a polymer tip that enhances accuracy and promotes devastating expansion. The tip raises the ballistic coefficient for faster velocity and also acts as a wedge, initiating bullet expansion. 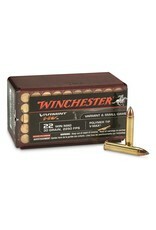 This ammunition is new production and non-corrosive. Muzzle Energy: 337 ft. lbs.